This morning I emptied the dishwasher while I was making my breakfast. Then I got sad. I was sad because I realized that I hadn’t updated my to-do list for the day yet which meant that “empty the dishwasher” wasn’t on it yet. And if it wasn’t on the list I couldn’t check it off and if I couldn’t check it off it’s like IT NEVER EVEN HAPPENED! The whole point of doing chores is to check them off! I considered putting it on the list just to check it off but it wouldn’t be the same. So I sat down to update my list anyway since it needed to be done and when I pulled it up on my phone something amazing happened. “Dishes” was already on the list! I had written it there yesterday but Luke emptied and loaded the dishwasher last night so I never checked it off. Since it didn’t specify what about the “dishes” needed to be done I figured it would count. With a smile on my face I happily poked that little box and watched the check-mark appear. It was the happiest moment of my day. On my resume it states that I am organized. This is a true statement. I am ORGANIZED. The trouble is, I don’t think people take that statement seriously. Everyone and their brother says they’re organized but most people are lying or at the very least exaggerating. I however, can present evidence of my organizational prowess and that that is what I intend to do today. Note: Please don’t judge me by what movies we own as these are not only my DVDs but Luke’s as well. These are alphabetized and neatly placed in the shelving unit next to the TV. 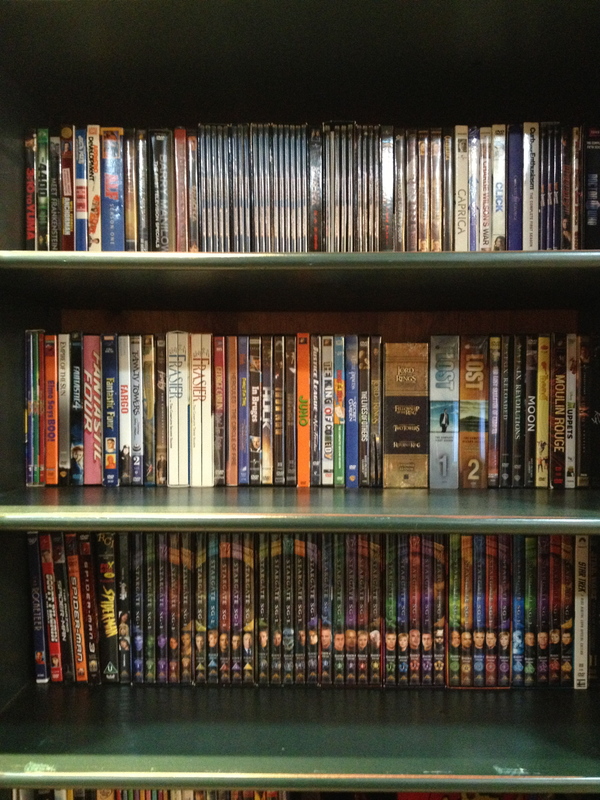 I’m not gonna lie, sometimes the most exciting part of getting a new DVD is to find its proper place on the shelf. Trust and believe that if anyone puts a disc away in the wrong place I will notice, fix it and the offending party will be given a dirty look. I store all my shirts like this so that I can always see everything I have and I don’t mess up the folding by pulling out one shirt like I would if they were in piles. 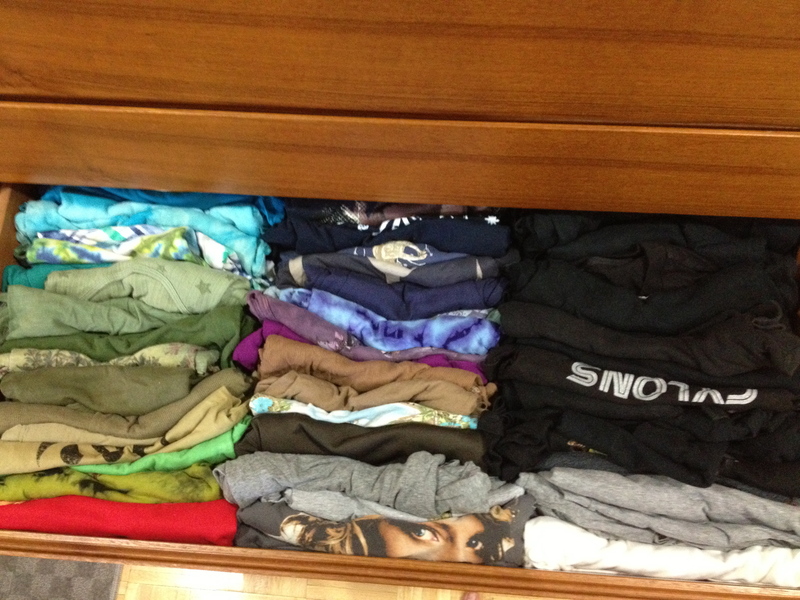 And yes, there is more than one Battlestar Galactica shirt in there. 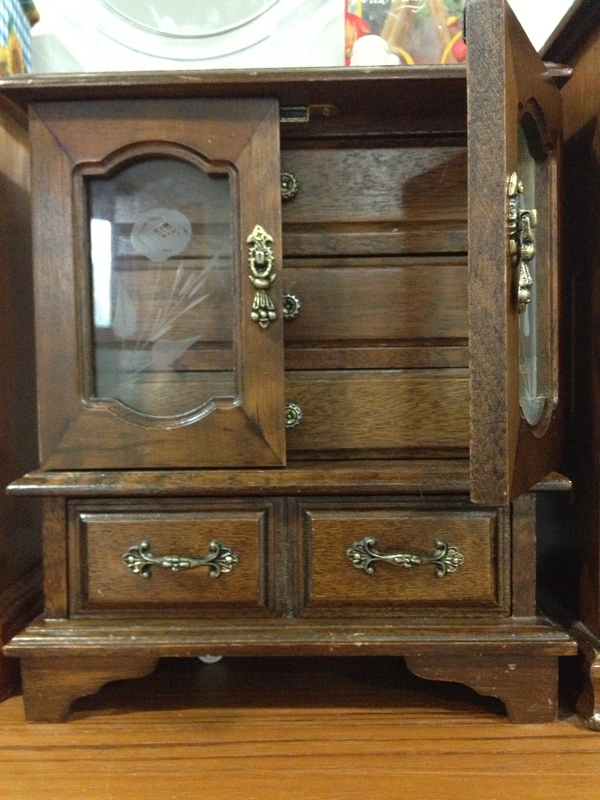 This jewelry box contains all of my earrings. 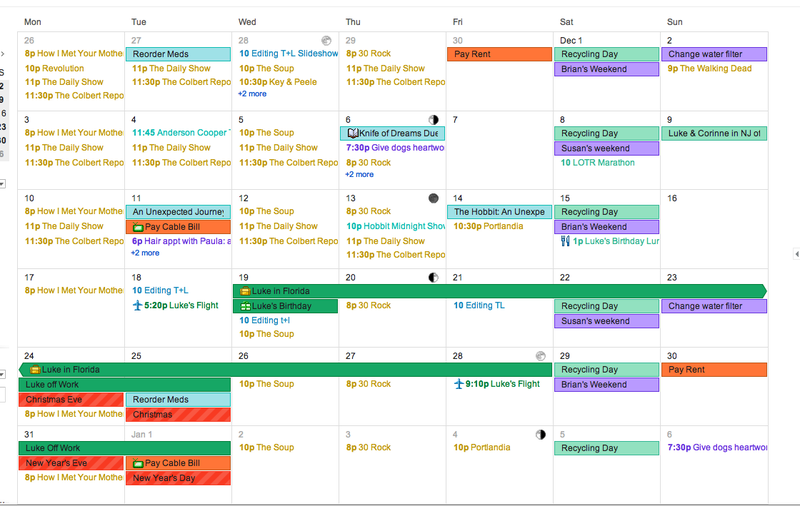 I use Google Calendar to organize all of my personal, professional and family events. 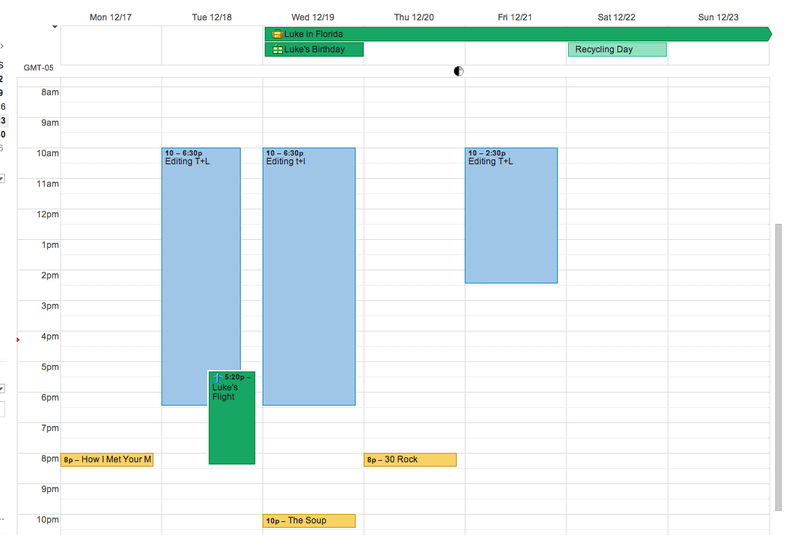 I also use it to keep track of Luke’s schedule because I’m nice like that. It is color-coded based on category and sometimes I stare at it just because it makes me happy. 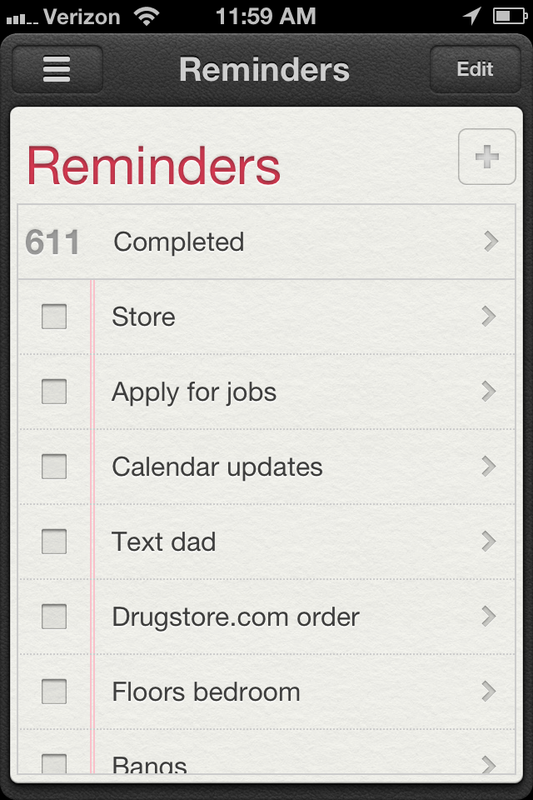 This is always on my phone with whatever I need to get done on any given day. I usually update it soon after I get up and check things off throughout the day as I get them done and gleefully watch the completed tasks disappear from the list. This an agenda that I used to keep track of my homework in high-school. According to the date this was from 2005 meaning I was 15. Notice how each class has been given a color and a hi-lighted section to write homework in. 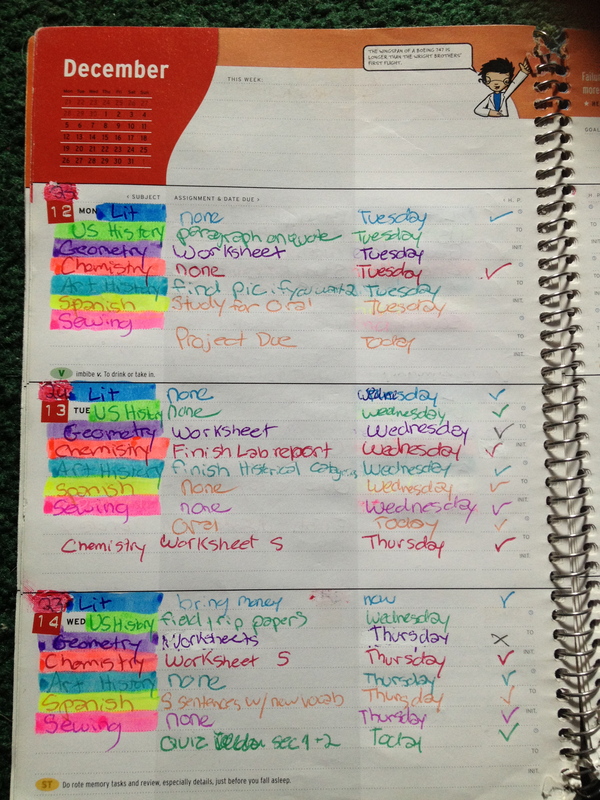 With that I think I have sufficiently proven that when I say I’m organized I really mean it. I rest my case. *”Wait a minute,” you’re thinking, “that isn’t very big, there’s no way your previous apartment was so small you didn’t have room for that.” Clearly you’ve never lived in Manhattan.